Bergman Hirsch Spilfogel & Tyman, CPAs is a CPA firm that provides individuals with a quality of service that rivals the largest accounting firms in the country with the personal touch of a boutique accounting practice. Our office is centrally located in Coconut Creek, Florida and our technology allows us to service your accounting needs anywhere in the world. Our goal goes beyond simple tax preparation. We take a global approach to your financial wellbeing by providing advice in all areas of your finances including accounting, financial planning, and retirement. 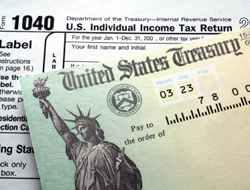 All new clients will receive a free overview of their prior years tax returns. All information exchanged will be kept strictly confidential.